Great real estate agents know what they want and go after it. 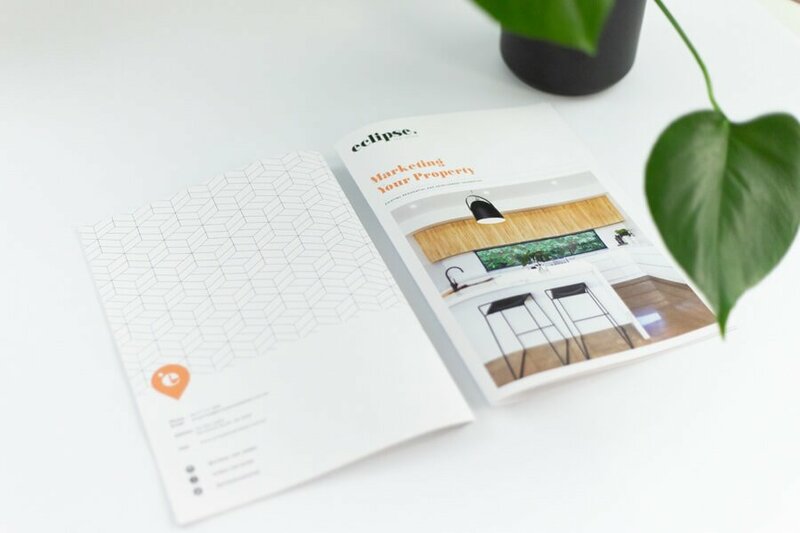 If you’re seeking inspiration this long weekend, here is some advice from a few of the great real estate agents we’ve had the pleasure to work with. 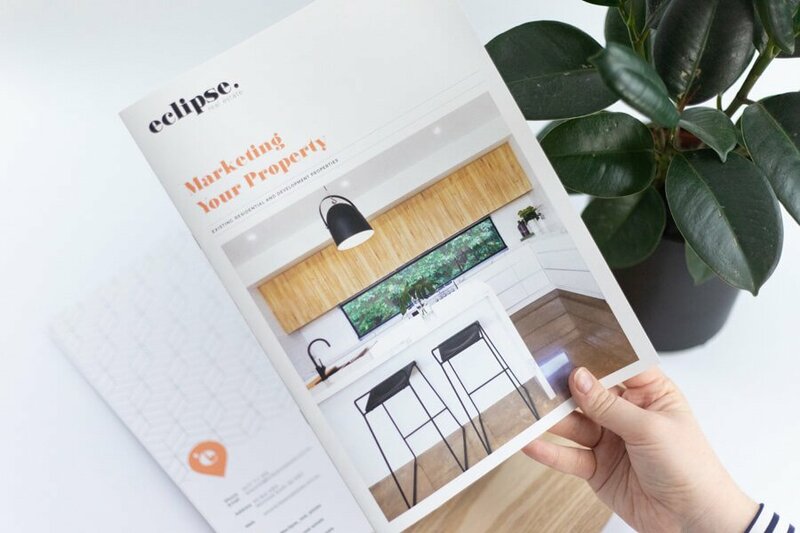 After this weekend, it’s a sprint for real estate agents to finish off a great year, so it’s important your marketing is backing you up while you kick goals. Contact us if your marketing isn’t where it should be and we’ll fix that for you. It’s no surprise that real estate agents and many real estate agencies are new to the term ‘brand principles’. 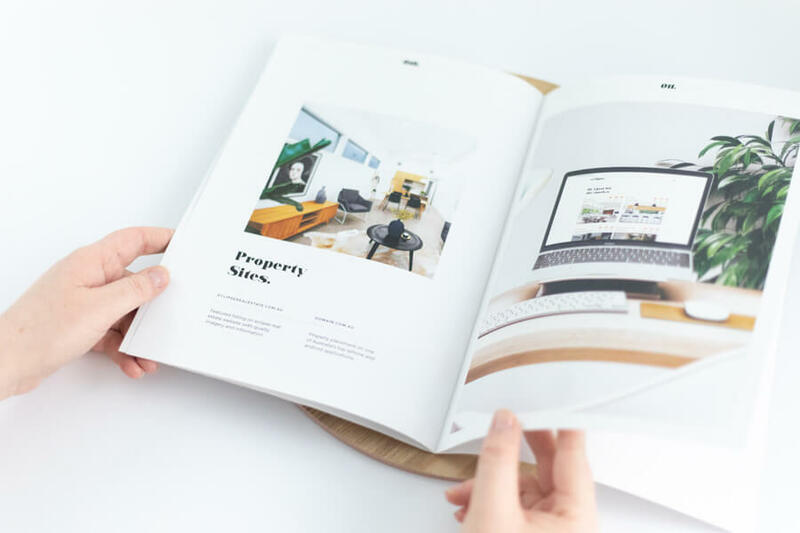 It’s something that is overlooked or ignored when starting a real estate brand or revitalising a brand through a rebranding journey. People are naturally very visual and priority gets placed upon the visual aspects of a brand before anything else; but how well can the visuals of a brand or the culture of a workplace reflect the actual brand if they don’t know ‘who’ they are at their core? Brand principles are at the very core of your brand. I often see agencies without them and they’re easy to spot – how? 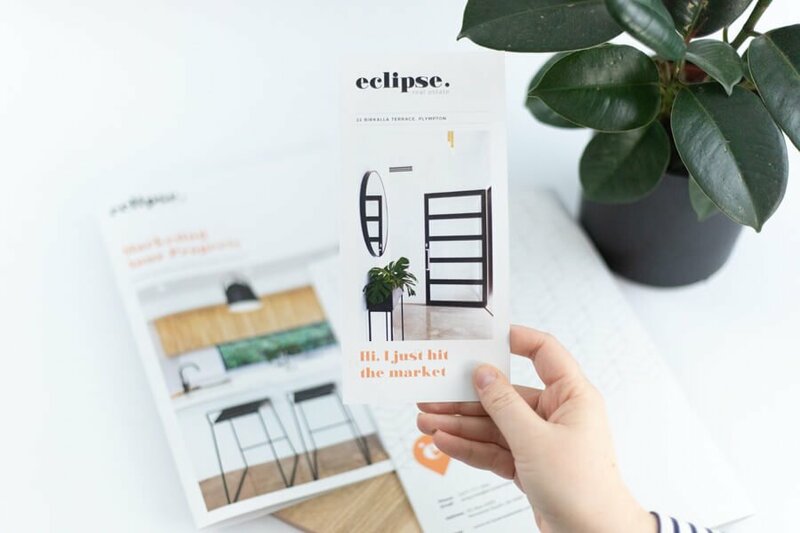 Copy on their website, print marketing and social media all look like they’re written by very different people and this is because they’re not writing from the perspective of a single source, or rather the brand’s principles. Principles are the foundation behind how your brand looks, how it communicates, and where it will go in future. For example, think of brand principles as personality traits in a person – a person’s personality will dictate what they wear, how they speak and their goals in life. A refined personality type that values pleasing people would look and act differently from someone who is loud, eccentric and values timeliness above all else. To put it simply, people connect better with people rather than brands. But by having a personable brand, you’re making the connection process easier. Brand principles are also vital to help people understand exactly who your agency is, where you fit in the marketplace, what makes you different from other agencies and paves the way for the uniqueness that will win new customers. Real estate brands that have well defined brand principles and use them to establish their brand are easily identifiable by their brand image that represents who they are and what they do, cohesive copy that matches across all marketing deliverables and the employment of great talent that fit their workplace culture. If you’re curious to learn more about brand principles or want to know if your brand principles stack up, give me a call. So You’ve Made Videos – Now what? Here at Identity Marketing we deliver new tips every month on how you can improve the quality of your real estate marketing videos. We do this because we recognise that videos should match the quality of the agent. What we haven’t explicitly covered is what to do after you make your digital real estate content. Firstly, let’s talk about Facebook. It’s arguably the most well known social media platform and a staple in most real estate marketing plans. To maximise the success and really ensure your efforts are worth it, I recommend putting money behind content that you want people to see. Facebook works on a ‘pay to play model’, mainly due to an endless number of people wanting to advertise and a finite number of people to advertise to. Without spend behind your content and videos, you’re at the mercy of the algorithm gods and they may not be so merciful. If you’re well versed with putting spend behind your content, it’s time to take the next step and promote your content to the right people. At Identity Marketing we do this by creating custom audiences that Facebook can target on your behalf. These custom audiences include using email database contacts, similar audiences and promoting to those in certain areas. This ensures that the people seeing your content are already more inclined to respond positively to your content. Next, it’s time to look at email. You should be delivering your video directly to your database through email. It’s always a nice addition to add a short summary about the video too. Finally, let’s move onto Instagram. Instagram offers multiple ways to include video into your profile, however there are some limitations. If your video is over 60 seconds you won’t be able to post this to your profile feed- you do however have the option to cut the footage into consecutive 15 second segments and post it to your Instagram Story, or you can add the full footage to Instagram’s newest feature, IGTV. The great thing about IGTV, otherwise known as Instagram TV is that you can link your IGTV videos to your story to direct your audience to view the full video. Instagram thrives on creative ways to implement video, so the sky’s the limit. My last recommendation is to remember the optimal dimensions for your video content – for a refresher in what the best dimensions and sizes are, you can find our handy guide here. If you have any questions regarding this blog or if you would like to know more about how to best reach your audiences with valuable content – contact me on 1300 590 494. Claudio Cuomo transacts 120+ properties annually, with his dedicated team boosting this number to over 160 properties per year. In this interview Claudio shares his marketing advice, tells us about the dedicated specialists within his team and the importance of a clear cut marketing strategy. In the past few months, Instagram has taken centre stage in our top 5 updates. It hasn’t been uncommon for Instagram to release more than one big change to their platform at once, most recently we discussed the introduction of IGTV as well as the roll out of real time activity status indicators and ability to add music to stories – you can read about it all here. However, this month it’s Facebook’s turn to shine, with 4 of our updates this month about the social media giant. First off, Facebook is taking a page out of Instagram’s book and implementing their own version of Story Highlights. This update is still in the rollout stage with select users seeing the new highlight options that allow users to turn their temporary stories into long term content that can be viewed on their personal Facebook profile. This update has been expected for quite some time as social media users are starting to favour temporary content styles as they allow people to post content that is less polished, more in line with ‘real life’ and generally posted on a whim instead of being more curated and planned, which is often the case with a lot of social media content. By introducing new temporary content updates like this, Facebook is on the path to making story creation of Facebook a bit more enticing to users, and with more users comes more advertisers. Facebook Events will soon be getting a makeover as Facebook adds more options for event organisers and more context for attendees. The added options include the addition of a schedule, where organisers can highlight the times of specific acts or segments within an event. Previously, you had to put all the information in the main description. Another addition allows further details on admission to be provided, such as whether the event is free or a paid event and where to get tickets. This update comes in the wake of Facebook trying to minimise the promotion of fake news and global events most notably by promoting more local, relevant events for users and developing genuine ways to connect them – online and offline. Facebook has also realised that their 2.23 billion monthly active users all use their app for different things and has started rolling out personalised function bars. If you use the marketplace or watch shortcut most frequently, it will appear in your function bar. However, if you never use them, it will preference other shortcuts and those won’t be on your main page. In Facebook business related news, Facebook is redesigning the business pages layout. You’ve probably had a notification about your page changing – the reason behind this? By positioning small businesses as destinations, rather than auxiliary to users Facebook experience, this will help to boost engagement for the businesses that put a bunch of money into the platform. Business pages will now have a service-related button at the top of their page, such as a “start order” button for a café or restaurant, and a “call now” or “book appointment” for real estate agents. They’ve also added a function that could be a potential point of contention – there will be a related pages section on your business page. This means that inadvertent advertising for competing businesses may appear. The idea is to enable users to connect with businesses they may not have discovered yet, and this function is very much consumer-minded rather than business-minded. Page admins may feel that customers specifically looking at their business page could be led elsewhere, which is not something that would happen on their own website. In our fifth – but non-Facebook related – update, LinkedIn is trying to get you to use their ‘groups’ function now more than ever before. They’re integrating the ‘LinkedIn Groups’ standalone app into their main app. Originally, LinkedIn Groups was considered helpful and quite valuable in terms of educating and connecting, however it experienced a huge surge of spam that occurred, putting users off the app. This is how they’re integrating ‘groups’ back into the main LinkedIn app: posts from groups, and notifications about group activity will now appear in the main LinkedIn feed. Plus, you can also now @mention group members which previously wasn’t available, due to the standalone app situation. One big change, designed to make the LinkedIn Groups experience more pleasurable, is the retirement of the group email blast function, which was one of the most annoying features of LinkedIn Groups. Time will tell whether this will be effective at reviving the previously spam-filled function for them. A rebrand is only as good as it’s foundation. I like to think of rebranding as building a home. Without a strong foundation, quality build materials and expert advice, it can easily come tumbling down. The end result being wasted time, misused money and feeling defeated. I often speak with real estate agencies that are looking to rebrand and help them facilitate future growth and establish themselves in ‘the now’. Giving them a modern and fresh brand that is aligned with their business objectives. 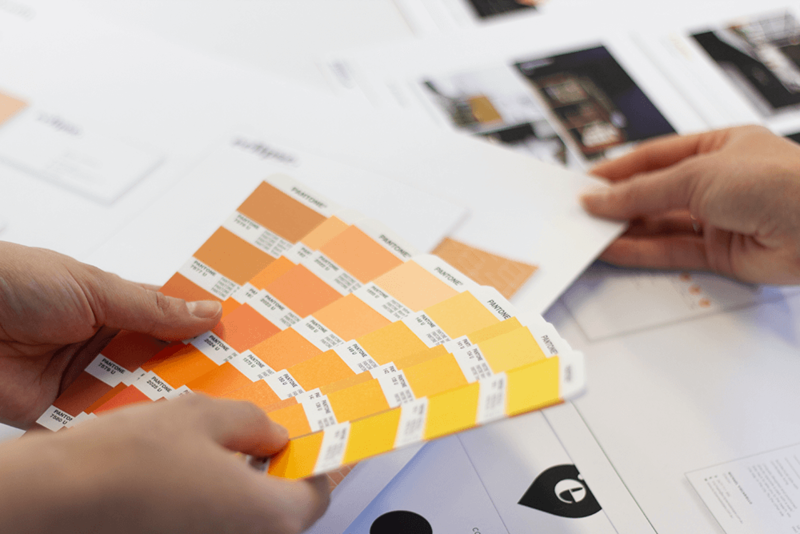 Brand consistency – Over time a brand’s marketing deliverables evolve and sometimes new colours, shapes and elements sneak their way into the branding which makes the branding look inconsistent across marketing pieces. 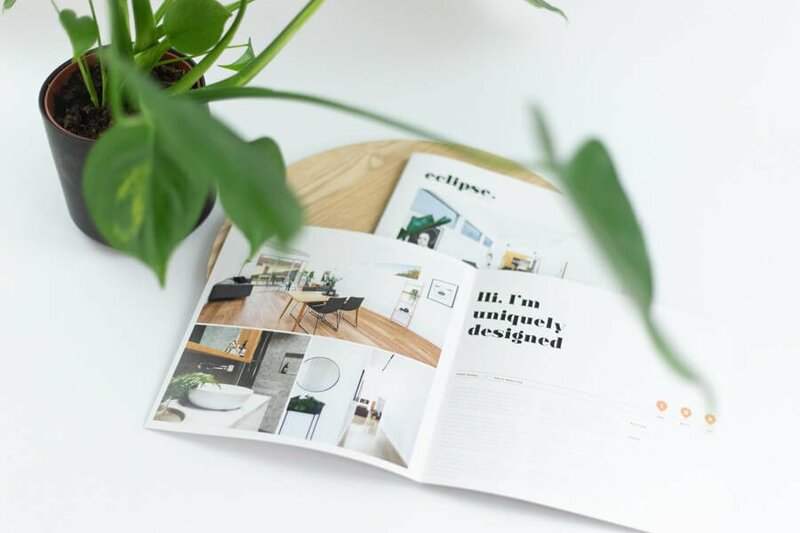 Complacency – The challenge successful real estate agencies have is that they don’t feel like they need to invest into the brand – they say ‘why change something that isn’t broken?’. Although a brand may not be ‘broken’, should the brand start to look tired it leaves space for a fresh and new brand to take some of its market share. Misinterpretation – A well defined brand is easily understood by consumers, and brands are able to guide their marketplace to the right conclusions. In the absence of clarity consumers make their own associations with the brand, and this can be detrimental in the long term. 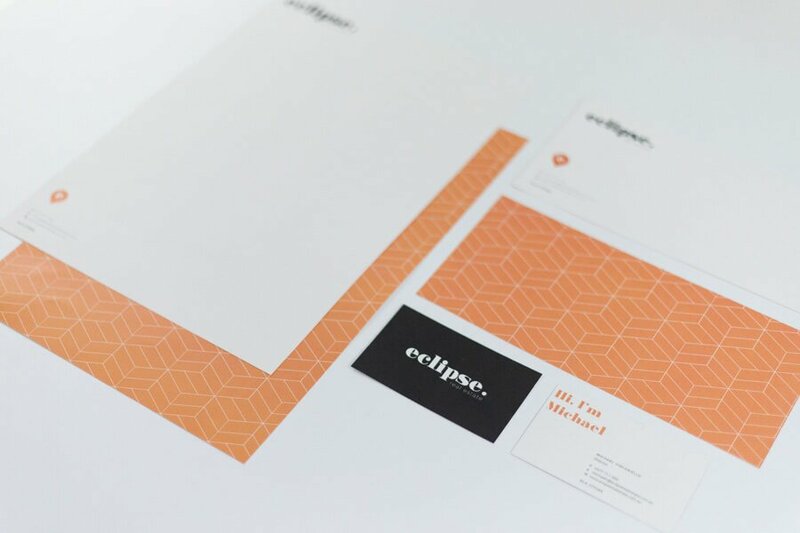 These issues come down to more than just adding some new visuals and to really ensure that a rebrand is solving the above issues, a complete rebrand is needed, along with well planned brand principles to act as a strong foundation. Brand principles are a vital part of any successful real estate agency and are there to help people understand exactly who your agency is, where you fit in the marketplace, what makes you different from other agencies and paves the way for the uniqueness that will win new customers. If you would like to learn more about brand principles or find out about the 4-part branding process we use a Identity Marketing, get in contact with me today. This week I sat down and busted the common email myths that I see real estate agents across australia buying into. Even though we live in a world where information is readily available, we still suffer at the hands of viral misinformation and subsequent myths. When we begin working with agents on their real estate email marketing I often see that they have taken on misinformation about emails and their communication has subsequently suffered due to mislead good intentions which is what spurred me on to create this video and provide the truth behind the most common email myths in real estate marketing. Without further ado, here are the top 5 myths that I see most often and the real information you need to know behind each of them. Data shows that more than 60% of email recipients open their email on a mobile device. Meaning that if your emails are not optimised for mobile, you’re severely impacting the success of your communications. Emails that aren’t optimised for mobile often read poorly and crop portions on your email leading to your recipients opening and swiftly closing your email without a second look. Emojis won’t guarantee an increase in open rates, and even worse, some audiences respond negatively to emojis, which is why emojis should be used with care in emails. If you’re tempted to add an emoji in your subject line, ask yourself – is this a serious email? If yes or you’re unsure, it’s best to stay clear of of them. Relationships are built one person at a time and if you’re a real estate agent wanting to grow your reputation, your EDM’s should be coming from you personally, not a ‘faceless’ agency. This is really imperative to maximise the effectiveness of your communication and develop valuable relationships. Another positive of sending emails from your personal work email is that replies will go directly back to your inbox instead of to a mass company inbox that may not be monitored regularly, making it easier for sellers to speak to you. An unsubscribe is typically a recipient saying ‘I don’t want to see this content in my inbox anymore’ which can be hard to take. However with a full marketing strategy, your audience will be seeing your message elsewhere, so it’s not the end of the world. Plus, there are worse fates than your email being unsubscribed to. When a user unsubscribes from your emailing list, they have improved the quality of your list and you have minimised your risk of recipients marking your messages as spam – something that could potentially affect your ability to send mass emails in future. I like to take these occurrences as consumers telling us how and where they want to consume content. People read two and a half words a second and may only give your email five seconds, so use your links and images thoughtfully. While it’s a well-known fact that images make emails more visually appealing, too many can impact email deliverability and email loading times. Best practice is to ensure your email loads quickly and is easy to read. Furthermore, keep it simple and guide people down the path you want them to take. Remembering the preferred content sizes for each social media platform can get overwhelming – which is why we developed a video and infographic that outlines the dimensions we use to optimise our content for all platforms! If you want to find out how social media can be an influential part of your real estate marketing strategy, give us a call today! Ash Weston transacts 120+ properties annually. In this interview Ash shares his marketing advice, tells us what gives him the competitive edge and the importance of genuinely caring about the customers you serve. 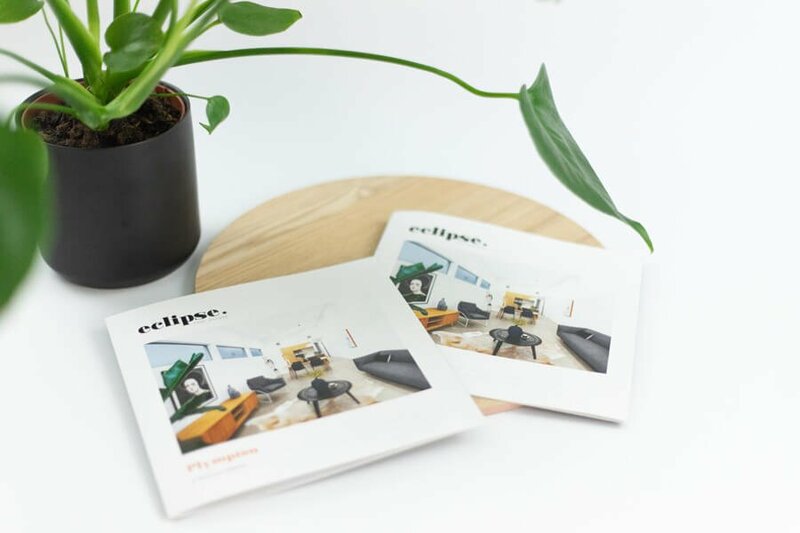 We recently completed a re-brand for Eclipse Real Estate. 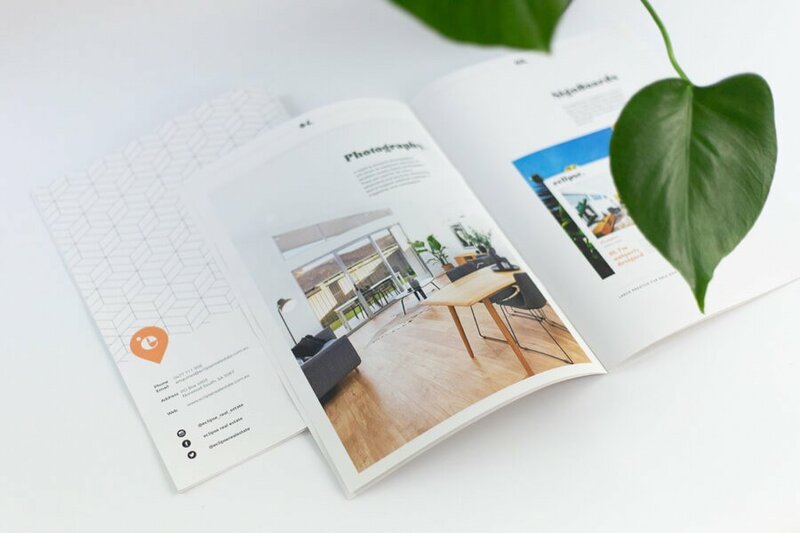 Right from the beginning we worked with them to bring a relaxed and playful brand to the thriving Adelaide market. Below are a few of the marketing pieces we designed. You can also check them out here on Instagram. If you are keen to get your brand back on track, get in contact with us.